Jeff Young decided to do something different from the race cars he's so well-know for building. 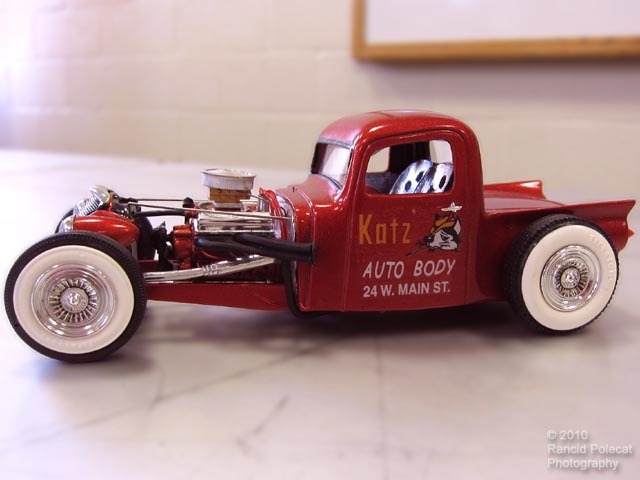 After digging around in his partsbox, he came up a 1937 Ford Truck cab, an AMT 1957 Ford parts kit, and an idea. He would make one body from these two dissimilar vehicles.